This is as extra hot studded outfit as the X Men Apocalypse Jennifer Lawrence Jacket. 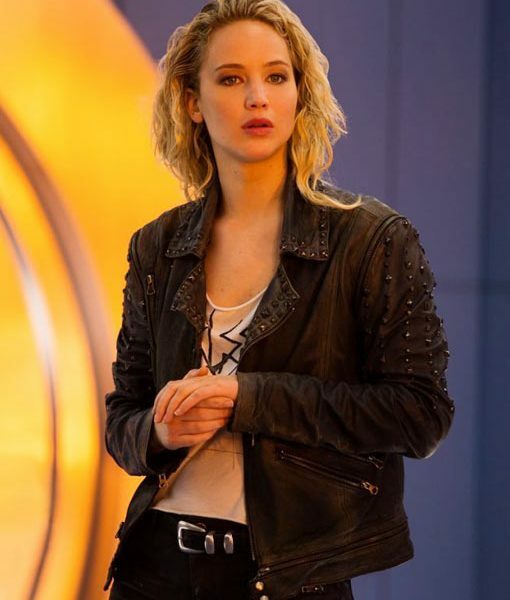 Jennifer Lawrence is the young charming actress, who plays the role of Mystique/Raven in X-Men: Apocalypse. Apocalypse Mystique Raven Jacket is illuminated from the real leather with pyramid studs on the sleeves. This attire covers an asymmetrical zipping closure, and a stylish collar you can have the record lavish and graceful look. Two pockets are featured on the outside of the jacket. For sure, this is women’s outerwear is distinct anything you will ever see anywhere else but here it’s at low cost.